1. I downloaded the extension and clicked on it to start using it while on the Google Chrome Store. Nothing Happened. Is this extension not working? The extension, along with many other extensions won’t work on Google Chrome Store or its gmail apps. If you are not on any website, it won’t work either – because there is no link to “grab”. You might see this popup. Don’t worry – the extension works all right, just make sure you go to any page before you click to get started. 2. I downloaded the extension, visited a website, different from Google Chrome Store, and clicked to start using it. This is what I saw, what to do next? Step 1 – You need to create an account. 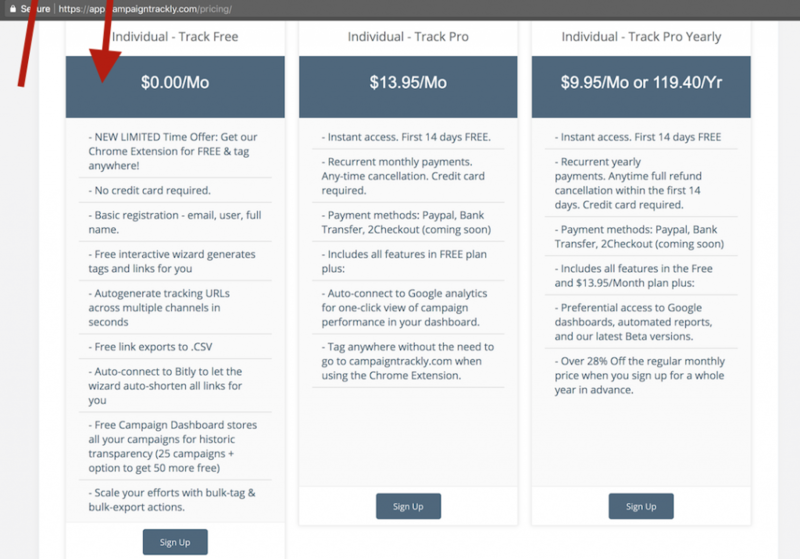 Please go to our Pricing Page and Select the FREE plan. Step 2 – Visit the Settings page of the web app to connect to your Bitly and Google Analytics service – this is required if you want to auto-shorten your tracking links and view reports. 3. I wanted to register but it is taking me to a generic pricing page. What to do? Which plan to choose? Our advice would be to get started with the FREE plan, available here. 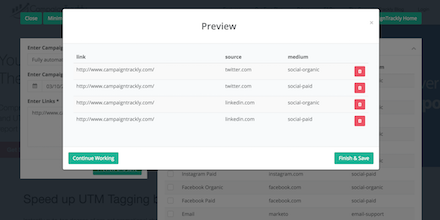 The extension works together with the web app because it stores all your campaigns for your records and reporting. 4. What are the steps to registering & using the extension? Click on the extension icon which will appear in the top right corner of your browser. A Sign-in/Register form will pop up if you are not signed in or if you don’t have an account with us. Create an account on our secure page and complete the registration instructions. After you create your account, you can start using the Chrome extension right away – just go on any web page, click the icon of the extension, and it will automatically parse the link for you so you can process. CampaignTrackly for Chrome will auto-generate but not shorten your links. 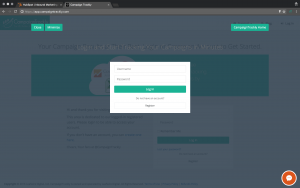 You will need to login to app.campaigntrackly.com to add your Bitly account so you can benefit from automating your URL shortening process in one go, as your UTM links are generated. Our Chrome Extension lets you preview your tracking links before they are generated and shortened to reduce errors. 5. How do I use the extension? Please watch this brief video or request a free 30-minute training session with us and we will be happy to help you out. 6. Where can I learn more about the CampaignTrackly tool? You can find more information our public site here – www.campaigntrackly.com. Features are listed on our Features page too. Once you register, you will be able to access our videos and other guides which will provide you with extensive information about the tool and how you can use it. It is really a very intuitive, zero-learning tool though:)). 1. How do I ask for help? We have a Chrome forum support group available here, but for customers, we recommend that you just email support@campaign-trackly.com or use the Facebook chat tool available on our Facebook Page. A real person will contact you and speak with you to offer support.